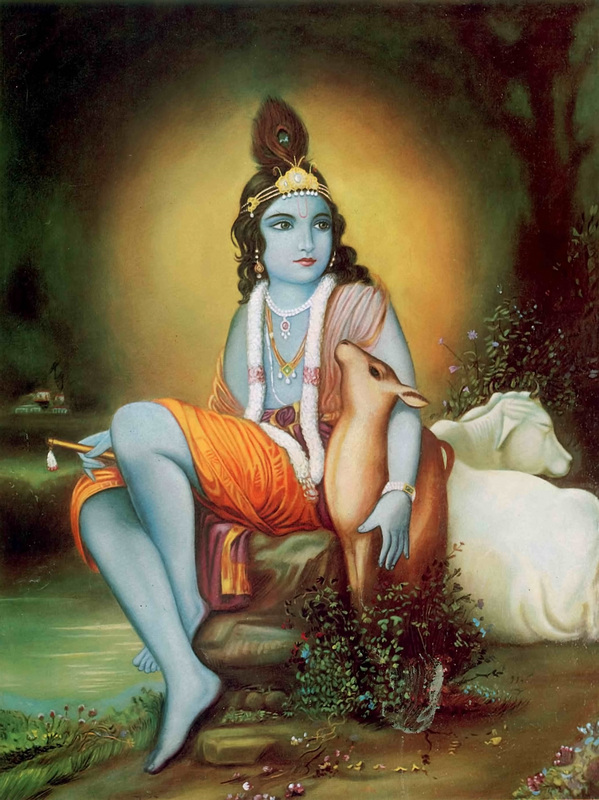 These words stress that one should concentrate his mind upon Kṛṣṇa-the very form with two hands carrying a flute, the bluish boy with a beautiful face and peacock feathers in His hair. There are descriptions of Kṛṣṇa found in the Brahma-saṁhitā and other literatures. One should fix his mind on this original form of Godhead, Kṛṣṇa. He should not even divert his attention to other forms of the Lord. The Lord has multi-forms, as Viṣṇu, Nārāyaṇa, Rāma, Varāha, etc., but a devotee should concentrate his mind on the form that was present before Arjuna. Concentration of the mind on the form of Kṛṣṇa constitutes the most confidential part of knowledge, and this is disclosed to Arjuna because Arjuna is the most dear friend of Kṛṣṇa's.